Do I Really Need HVAC Maintenance Twice a Year? Routine maintenance of your HVAC system is the best way to ensure that your HVAC system will last as long as possible and makes sure that your money goes as far as possible when it comes to replacing your unit and paying your energy bills. You will notice many differences over time if you make sure your system has routine maintenance. You will have fewer repairs, reduce the chance of a breakdown happening during a high-use time, extend the life of your equipment, and ensure that your family is has a comfortable environment safe from carbon monoxide. In a previous blog, we discussed maintenance you can do yourself to help keep your system in shape. You might want to click the link and check that out! Some tasks can only be done by a professional, State Certified HVAC contractor, so you’ll want to leave the twice-yearly maintenance to them. It may seem that all maintenances are created equal, but actually, spring maintenance has its own unique aspects, and so does fall. So, you truly do need to have two per year in order to make sure that the different parts used in each season are running perfectly. If the level is low, a good HVAC contractor will not just refill the refrigerant, but check for a leak and if there is one, either repair or replace the part. If there is a leak, simply refilling the refrigerant will not be a long term fix. 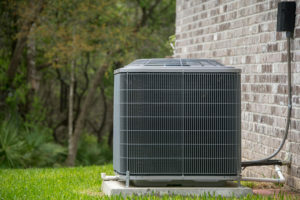 Refrigerant will likely run out when you start to utilize your system more as thing heat up and then you are dealing with emergency repairs in the heat. Maintenance before the high use season of summer will help you avoid having to place an emergency call to your HVAC contractor! Some contractors provide continuing maintenance agreements or contracts. This way you don’t have to remember to make the appointment every time, and you know that you have a set appointment scheduled before each busy season begins. You can also save some money by signing up for this service, as they sometimes provide a less expensive rate for the service since it is ongoing and scheduled. While some maintenance tasks are the same from season to season, there are several services unique to fall as well. At your fall maintenance, your HVAC contractor will check out your heating system to make sure it is ready to go when winter winds blow! Your HVAC contractor will want to not only get your system ready for use but actually test it out. This will ensure that there are no surprises when you turn your system on during the first cold day of the year. If you have a gas furnace, in particular, it is crucial to keep it maintained. Your heat exchanger can develop cracks without you noticing, putting your family’s health at risk! Carbon monoxide “The Silent Killer” is an odorless, colorless gas created from burning the fuel used to heat your home. If it leaks into your home, it can cause nausea, dizziness, headaches and more. If you think you are experiencing a carbon monoxide leak, it’s important to turn your furnace off until a certified HVAC contractor can check it over and fix the leak. If this happens in the winter (when you’re likely to use your system) you’ll be unable to heat your home until it’s fixed, and you and your family will be very cold until you can get an appointment, you may even have to stay in a hotel until you can safely heat your home again. You can see how preventative maintenance can save you a lot on unexpected repair costs! While it is recommended that you change your own filter more often depending on the size of your family, number of pets and type of home, your HVAC contractor will also make sure that you have fresh filters whenever they perform maintenance. Your heat pump and your air conditioner both utilize this drain, so this will need to be cleared during both seasons. This is more than just looking at the thermostat. Your HVAC technician will be able to ensure that the climate in your home is actually the temperature your thermostat says it is. There are a lot of electrical parts all talking to each other inside of your system. Making sure the connections are clean and working can save you from having to replace one of them earlier than you’d like. Because your system is full of moving parts, they will wear over time as they come into contact with each other. After cleaning all debris from the system, your HVAC technician will lubricate moving parts to help them last longer. Please let us know if you have any questions about maintenance on your own HVAC system!